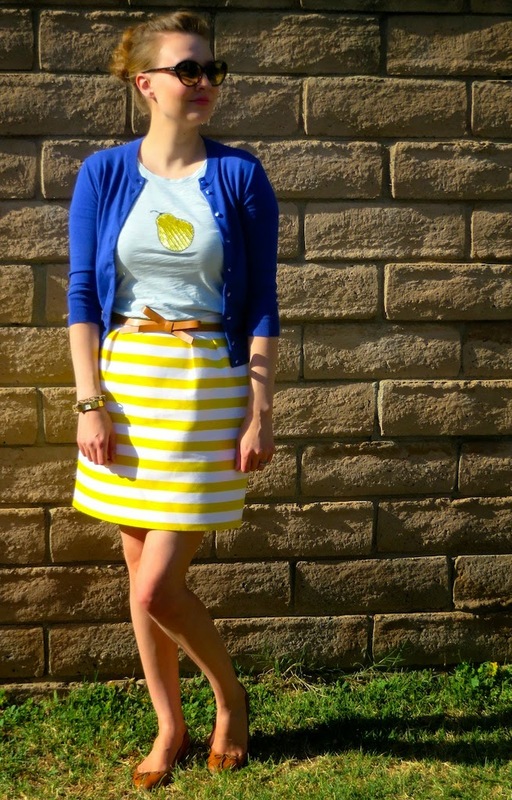 My yellow and striped kate spade Barry skirt happens to be one of my favorite purchases from last spring. It seems to go with everything, which is always helpful, but also overwhelming. So many combinations, so little time! Today I just happened to pair it with a pear. It turned out the be a perfect pear pairing. (Puns, puns!) 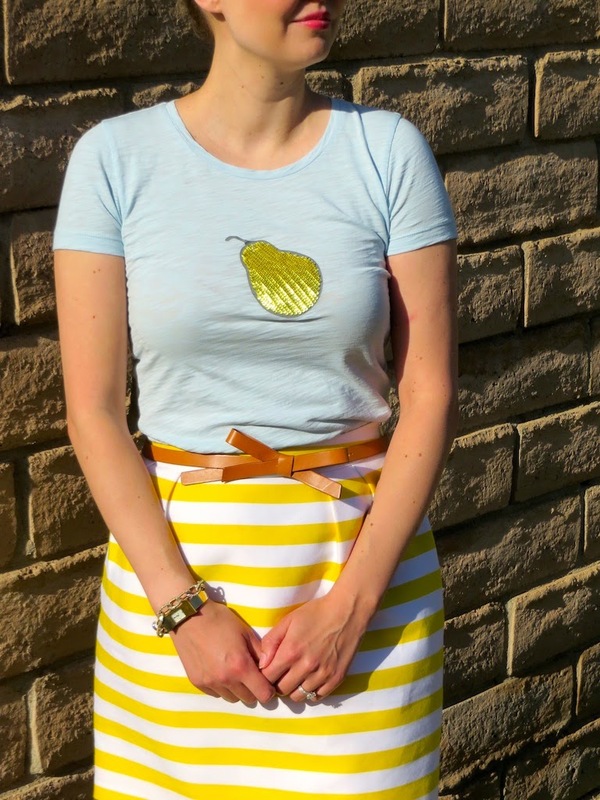 Anyway, this t-shirt featuring a sequin-clad pear from the J. 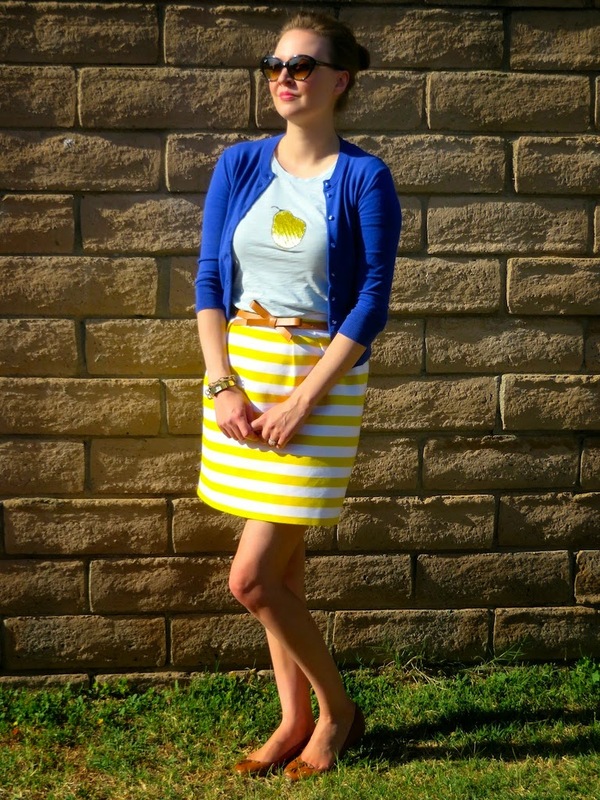 Crew Factory was just the right compliment to the vibrant yellow and white stripes of my skirt. I am pretty happy with this current incarnation of my skirt and I look forward to many future pairings! Hope you have a delicious weekend! Ahh this whole outfit is adorable! I absolutely love it!! Girl, I adore that skirt! And with the belt, perfect!